In celebration of #iwill Week 2018, NYO violist Josh shares his inspiring story and adds his voice to this national campaign celebrating the power and potential of youth social action. "Hi! My name is Josh and I play viola in the National Youth Orchestra of Great Britain (NYO). Although playing an instrument which has become the but of all musical jokes, I wasn’t always a violist: I first met the viola about 5 years ago – I was playing in a quartet which had no violist, so I put down my violin, picked up the viola, and from that moment onwards, I was hooked! It wasn’t until I first met NYO that I realised my desire to pursue music for life. In 2014 I went to the Royal Albert Hall to see the NYO’s BBC Prom, and that evening inspired me to really focus on my instrumental studies. Four years down the line, I’m here doing the same work which inspired me that evening. 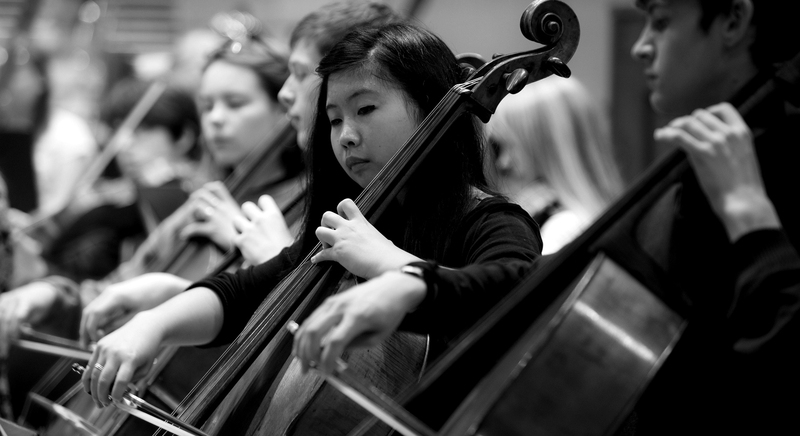 NYO actively engages in outreach projects to share a passion for music and inspire youths to play music. The scheme is called ‘NYO Inspire’. I’ve been very lucky to participate in many NYO Inspire projects over the last year, ranging from short one-day courses, all the way to 10-day programmes. Through this volunteering work I learned that orchestral music is not an exclusive hobby, rather it gave me the opportunity to meet and work with people I otherwise never would have before. Furthermore, people were taking what they learned on these courses and sharing their experiences which, is so encouraging for the future of Youth Social Action. These experiences inspired, not only those who I was mentoring, but also myself. I have learned so much about working in a group and collaborating with other people, and I would definitely encourage anyone to seek out their nearest available source of YSA. Through my own social action with NYO Inspire I have developed a passion for working with people, learning from experiences and taking in as much as I can as possible. Go and engage with the public!